are placed during the Mass of Christian Funeral. found on the extrerior and interior of the church. 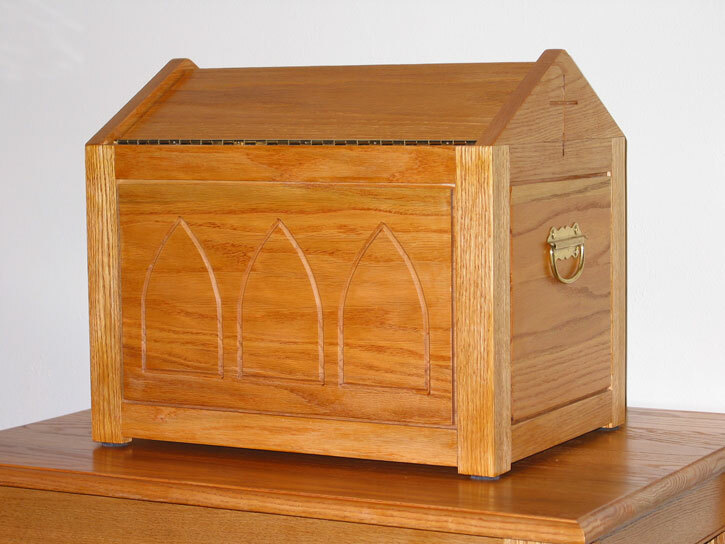 The use of a modern ossuary or ark incorporates the reality of cremation into the Catholic liturgy in a way that is equally dignified for rich and poor alike. 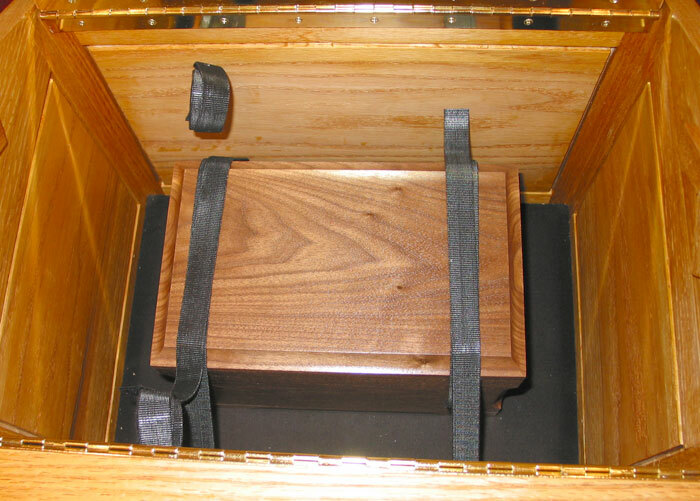 While the white pall is used to cover the coffin when the body is present, reminding us that it has been clothed in a white baptismal garment and making all caskets equal, it is not permitted with cremated remains. 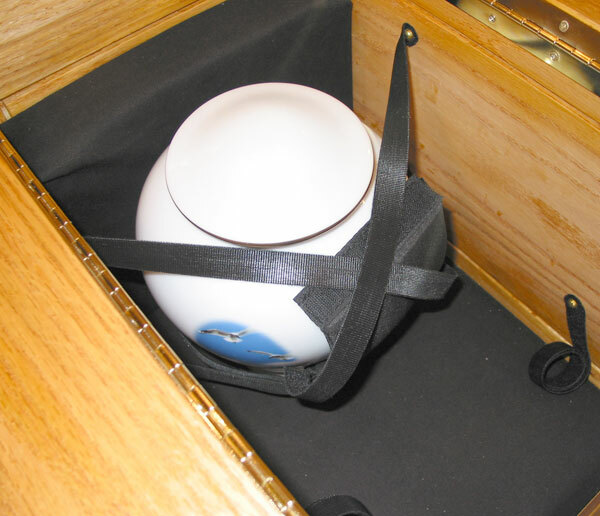 The ossuary avoids any distinction between urns or containers that hold the remains. 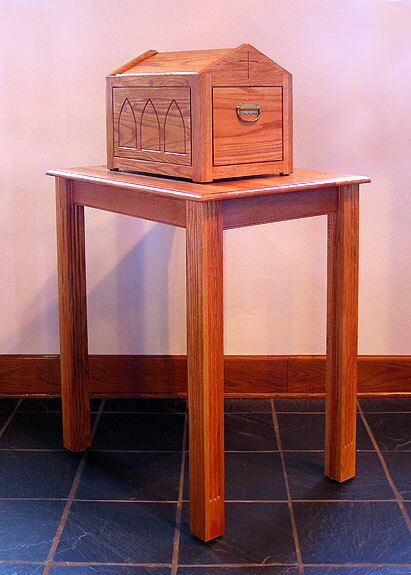 In the Catholic spirit of noble simplicity, this is a substantial vessel especially fitting for ritual actions such as sprinkling, incensing, and procession. 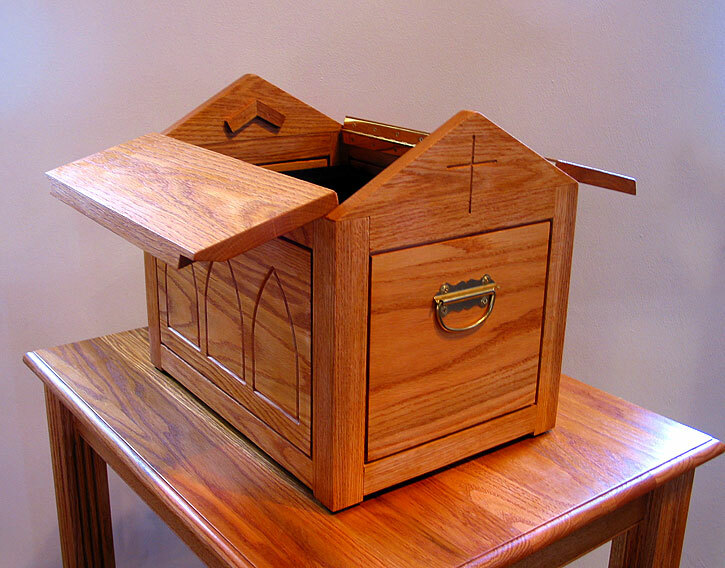 With a funeral ossuary and stand, a parish community is able to claim due Christian respect for all mortal remains as the final form of the flesh and blood person who lived, died and will rise in relationship with God.. The "roof" is hinged for access to the interior. Pads and straps securely hold any size and shape container.